God bless you, Dan Trachtenberg. Not just for delivering one of my favorite movies of 2016, 10 Cloverfield Lane, but for signing up to take director duties on the Uncharted movie. Yes, the same Uncharted movie that started somewhere in 2009 as a Mark Wahlberg project and is now, in the year of our lord 2019, getting another chance with Tom Holland and Bryan Cranston. Variety broke the news that Trachtenberg is replacing Shawn Levy in the director's chair, who had to depart over scheduling issues. The site also reports that the movie could go into production this year, just as soon as the press commitments for Holland's Spider-Man: Far From Home role are figured out. Trachtenberg is nothing but good news for the movie. As well as 10 Cloverfield Lane he turned virtual reality into the stuff of nightmares with the Black Mirror episode Playtest, and made the short film Portal: No Escape, a work that had fans begging him to make a full length Portal movie. Back in the day he also hosted podcasts like The Totally Rad Show and Geekdrome. "I never really lost touch with video games,” he said in an interview with Glixel in 2017. "Even while shooting 10 Cloverfield Lane, I brought my PlayStation with me, the most portable of all the consoles, and was playing every night. After we’d wrap, I would come home and my way of recalibrating and resting for the night was playing a game." How much do you really know about Nathan Drake? 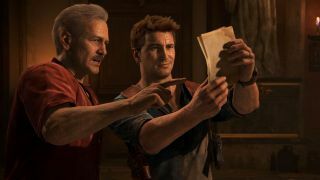 The inside story of Uncharted: Drake’s Fortune.